ST. PETERSBURG, Fla. January 31, 2019 — This week, Winter Storm Jayden and record-breaking polar vortex temperatures swept through the nation, cancelling and delaying thousands of flights in major travel hubs including Chicago, Atlanta, Detroit and Minneapolis. Travel insurance comparison website, Squaremouth, shares 3 tips for using travel insurance to recoup losses if your plans were ruined by the winter weather. In general, travel insurance can pay travelers back if weather delayed or prevented them from reaching their destination. 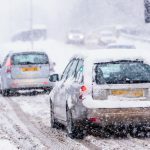 To have coverage for this winter storm specifically, travelers must have bought a travel insurance policy before the storm system was named on January 26, 2019. Many major midwest interstates and roads were closed this week after a high number of car accidents and vehicle pile ups due to weather-related hazards. Some policies will pay travelers back for missed flights and other trip costs if they’re involved in an accident on their way to the airport, but in most cases, missing a flight due to traffic resulting from poor road conditions is not covered by travel insurance. A few policies will cover travelers who are not directly involved in an accident but are stuck in traffic due to an accident. Claim Tip: In order to file claim, travelers will need to provide a police report that documents the accident. Squaremouth recommends travelers contact the local authorities as soon as possible in order to get documented proof of the accident. More than 2,000 flights were cancelled or delayed due to dangerous weather conditions. For those whose airlines did not offer a refund, travel insurance can pay back the cost of their flight. However, the flight must have been delayed at least 12-48 hours, depending on the policy, for this benefit to become available. If a traveler’s flight was delayed due to the weather, travel insurance can reimburse the cost of meals, hotel accommodations and local transportation, as long as the delay lasted between 3 and 12 hours, depending on the policy. Claim Tip: In order to claim for these expenses, travelers must show purchase documentation. Squaremouth recommends travelers use a debit or credit card to pay for meals, hotels and local transportation during, and keep your receipts if you paid with cash. If a traveler is stuck in a layover city and missed a connecting flight, travel insurance can cover the airfare to catch them up to reach their destination. This benefit can also pay travelers back for expenses incurred during the delay, once they’ve waited the specified amount of time required by their policy. Squaremouth’s Winter Storm Travel Insurance Information Center answers FAQs about travel insurance coverage for winter weather. This database is regularly updated as new information becomes available.